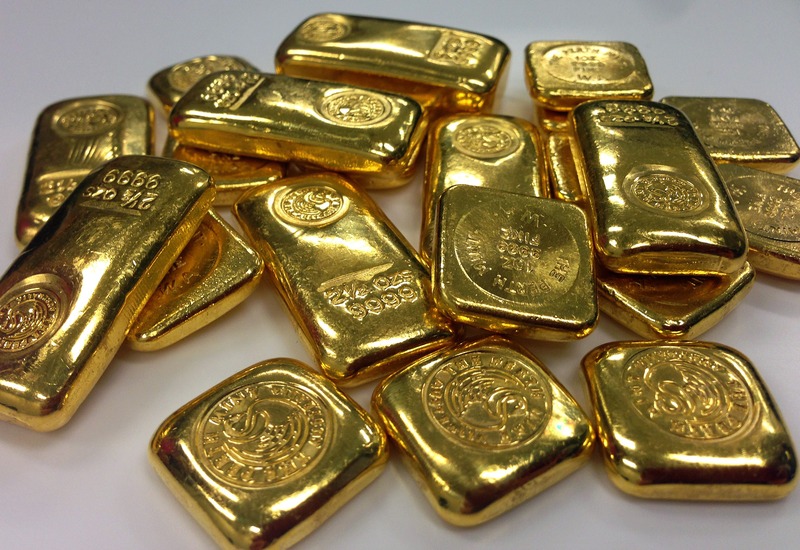 Though gold headed for its first weekly drop in six week, it remained in the positive territory – thanks to U.S uncertainties, Bitcoin crisis, ECB hawkish comments to name a few. Spot gold has declined 0.5 per cent so far this week, its worst week since early December. Spot gold was up 0.4 per cent at $1,332 an ounce by 0659 GMT. On Thursday, it touched its weakest level since Jan. 12 at $1,323.70, having fallen from recent four-month highs. Amid worries of a possible US government shutdown, the dollar weakened and gold strengthened with prices rising higher on Friday. Legislation to stave off an imminent federal government shutdown encountered obstacles in the US Senate late on Thursday, despite the passage of a month-long funding bill by the House of Representatives hours earlier. Legislation to avoid a US government shutdown at midnight on Friday advanced in Congress, as the House of Representatives on Thursday night approved an extension of federal funds until February 16, although the bill faced uncertain prospects in the Senate. The dollar has fallen since 2017 largely on expectations central banks besides the Federal Reserve are seeking to end their policy of ultra low, even negative, rates that they adopted to combat the 2008 global financial crisis and the recession that followed. Furthermore, reacting to ECB’s hawkish language, gold prices rose during Asian morning trading hours. The yellow metal gained momentum as ECB’s December meeting minutes and soft US data weighed on the dollar. ECB’s December minute were claimed to be hawkish due to a discussion of a gradual shift in guidance from early 2018 – much earlier than had previously discussed. A disappointing US data lowered the dollar. The dollar index was down by 0.5% at 91.81 as of 11:57 am Shanghais time. Unemployment claims rose to 261,000 this week. Marking the fourth consecutive weekly increase and a more-than-three- month high. As mentioned above, another reason that has favoured the rise on gold prices is the much hyped Bitcoin. Is it a bubble or a boom? Bitcoin, the world’s most popular cryptocurrency, has seen a major correction, losing over 40 percent of its value in less than a month, prompting investors to dump the cryptocurrency in exchange for the precious metal. As of this writing, the concurrency, which skyrocketed from below $1,000 in early 2016 to the historic milestone of $20,000 in December 2017, was hovering around $11,600 per a coin, according to Coin-desk. On Wednesday, the price of Bitcoin dropped to $9,400 at one point. Currently Bitcoin look quite uncertain. It was easy to get into it but now investors are finding it difficult to come out. AS we see that currently with Bitcoin and dollar facing a decline in vale, gold on the other hand has rallied 7.5% in the past month and also carries with itself a history of being a safe haven asset and a store of value.